The Beautiful Bones Kids costume includes the dress, slevelets, and footless tights pictured (headpiece is not included). 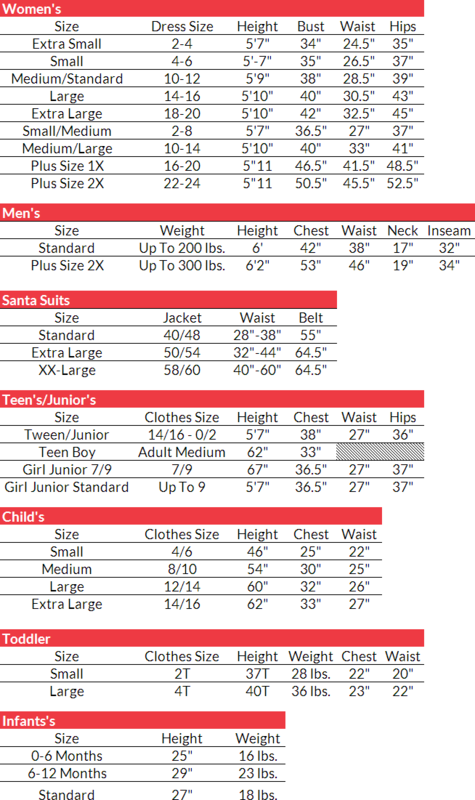 This costume is available in child sizes Medium, Large, and X-Large. This kids Halloween costume features skeleton bones printed on the sleevelets and tights, and a ribcage on the dress top. Adorning all of these bones are – you guessed it – flowers and butterflies! Why settle for ordinary bones? 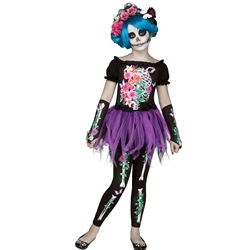 The Beautiful Bones costume is a colorful, thematic costume choice for this coming Halloween.